For a comfortable ride with a touch of family adventure, check out the mid-size 2019 Ford Explorer and Honda Pilot crossovers. These models have a lot in common, which can obviously make choosing between them difficult. But don't worry - our comparison guide is here to help. If you want your ride to be as comfortable as the cabin, give the Explorer your full attention. Even when the wind is roaring and the tires are squelching, passengers in all three rows can communicate without having to shout. 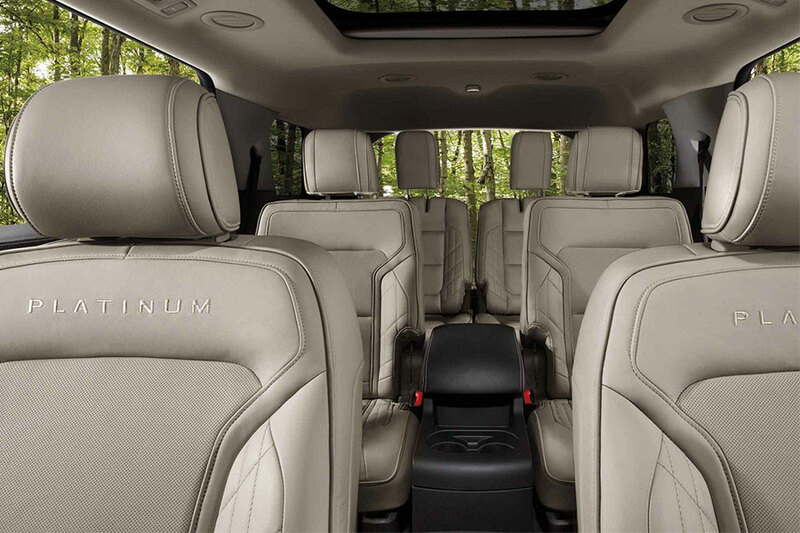 The Explorer's seven supportive seats are exactly where your family wants to be on a drawn-out ride. The 2019 Honda Pilot also puts a nice emphasis on comfort. Its übercomfy seats serve as a kind of oasis in a rush-hour traffic jam. With the nine-speed transmission, though, the Pilot isn't as smooth and refined as the Explorer. Add the Ford Safe and Smart package and you're all set to avoid danger. In this bundle of high-tech safety aids, you'll find everything from adaptive-cruise control to lane-keeping assist. That means that, in addition to giving you an audible warning, the Explorer can even guide you back to safety. Back on the Honda Pilot, you'll find another trove of high-tech safety aids. The Pilot even has something you won't find on other crossovers: its exclusive LaneWatch system displays the passenger-side blind spot as you switch lanes. There's a caveat, though - Honda's version of the usual safety systems have been known to cry wolf. You might find the Pilot is warning you of an imminent crash when such an event seems unlikely. Compared to the Pilot, the Explorer is more of the adventurous type. For starters, it can tow more - up to 5,000 pounds - so you can bring a bigger boat or camper with you on vacation. The Explorer is also sporty in the traditional sense, with quicker steering and stiffer suspension for a strong performance on winding roads and in sharp corners. 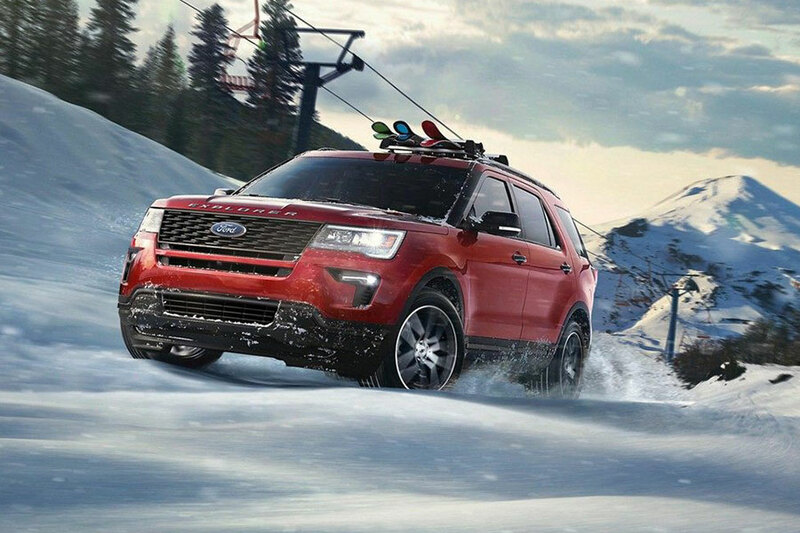 The Explorer and the Honda Pilot have one important option in common: all-wheel drive. When you need extra traction - say, on an icy road or dirt road, for instance - this performance gear helps you stay safe and maintain your footing. However, the Pilot isn't quite as sporty. Handling is composed, if not as athletic as in the Explorer. It tows max loads of 1,625 pounds, though, so you can bring a small boat along for the ride. If you prefer economy to power, then the Pilot has its appeal. With EPA ratings of up to 20 city/27 highway mpg, this crossover will certainly give you a slightly thriftier ride to work. The 2019 Ford Explorer comes in close behind with 19/27 mpg. Both crossovers runneth over with safety and comfort features. However, just about everything the Honda Pilot does the Ford Explorer can do better. That's especially true if your family spends a lot of time on the road or has a big boat at home. Why opt for just good enough when you can have outstanding? In this head-to-head comparison, the Ford Explorer demonstrates its dominance in the mid-size SUV market.